Hi I’m Erin and welcome to EP Exercise Physiology + Movement! 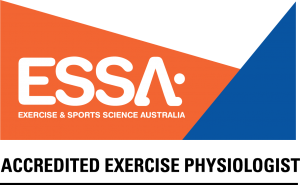 I’m an Accredited Exercise Physiologist with Exercise & Sports Science Australia (Bachelor of Applied Science: Human Movement & Health Studies). 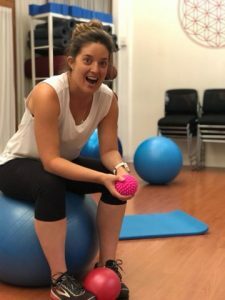 I am so very passionate about movement, exercise and positive lifestyle habits – because we are in the drivers seat of our lives and therefore we are in control of creating positive, healthful change. However….I firmly believe that you shouldn’t have to go it alone, feel that you’re having a constant battle or that it is out of your reach entirely. 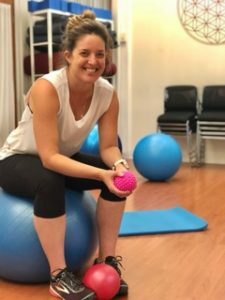 This is why I love what I do – I am here to be that support, to be your educator and cheerleader in reaching your health, movement, fitness and ultimate lifestyle goals. Throughout school I’d always participated in sports – Netball, Basketball, Tennis, Soccer, Swimming and Calisthenics. However, my love of movement and exercise really developed when I came across Aerobics Oz Style (yup… I know!). I’d drag my Sister out of bed at 6am to do it with me. Mum got me a video of a combat style work-out that I could do any time, at home in the lounge room. I loved it – I loved how it made me feel. I could do it whenever I liked, I wasn’t in competition with anyone else, I used my brain, my body and I could feel the positive influences trickle into other parts of my life. I think I did it everyday during the school holidays – because it was so fun! My moods improved, I wanted to eat better, drink more water, move more in general and I got excited when I felt the workouts become easier (I was getting fitter & stronger). Finding exercise & movement you love to do is key & sometimes you have to go against the grain. When I was 16 I inured my knee playing netball. After an arthroscopy (keyhole surgery) to “clean it up”, I was told that in fact I had torn my ACL (anterior cruciate ligament) and would need a knee reconstruction. I was overwhelmed and annoyed that they hadn’t been able to determine that before my first surgery, but I also felt relieved I didn’t have to play Netball anymore. My recovery from surgery wasn’t great, and admittedly neither was my rehabilitation. Mostly because I was 16 and I didn’t really understand the importance of this (both for me in the moment and in the future). My poor rehabilitation has resulted in me paying the price now (some 16 years later) with less than ideal motor patterns and bio-mechanics resulting in niggly injuries. I never want others to regret their rehab or the fact they even had an injury – this can often be a fantastic opportunity for growth and development. You come out wiser, stronger and capable of anything. My Mum is a HUGE inspiration for why I do what I do. When my Mum was a young child an accident resulted in her becoming a below knee amputee. I have seen, my whole life, how such physical limitations can impact a persons entire life – it’s not just physical. It’s mental, emotional, and other people can be very insensitive to this. Having said that – I have also seen (again, my whole life) just how incredible the human body is, how capable it truly is regardless of the physical limitations that may be present. My Mum is a freaking superstar. I’m not kidding, or being esoteric when I say that YOU are in charge of you life and your body, always remember that. In my early career after graduating Uni I worked at my local gym and helped to set up the over 50’s exercise program. Little did I know at the time just how rewarding this work would be. I helped participants to not only feel comfortable to come into a gym environment, but also improve their capacity for general daily actives (like getting out of the car and stepping up onto the curb). It really was about celebrating the small wins, such as increasing your bike workout from 30 seconds to 1 minute. I know that seems silly – but for this particular lady merely getting onto the bike WAS the workout! The relationships I built with these wise humans was so special, and the growth I gained professionally was invaluable. Physical independence is so very important at all ages, and it really can be maintained and developed. In my mid-twenties I lived overseas for about 5 and a half years. During this time I traveled and worked, and had some of the most incredible experiences of my life. However, I also faced some serious health challenges (adrenal fatigue, anxiety/panic attack, candida overgrowth in my gut, stomach & liver issues, chronic eczema) that lead me to make significant lifestyle changes. Which eventually included making the decision to move back to Australia. My health and fitness became a high priority, I realized I couldn’t do (and be) all I wanted to if it wasn’t. This was more than just a journey of eating better and exercising more – this was looking at how food, stress, pharmaceuticals, alcohol, caffeine and my environment can impact my body both internally and externally. Gaining a deep understanding of what I (& my body) needs to function at it’s very best has been so empowering. This has helped me understand that exercise and movement is just a small aspect of leading a healthful and happy life. I now love helping guide my clients to look at their ‘health’ with a holistic perspective in order to gain the absolute most from our sessions, and from all that life has to offer. I have a love of running and lifting weights! Both are not only great for me physically but also mentally. 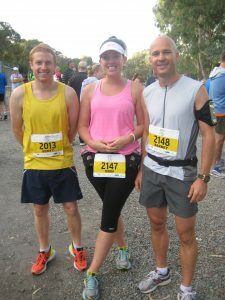 Running certainly never used to come easily for me (it still doesn’t necessarily) – in school and in my early 20’s I hated it! It was hard, uncomfortable and I never felt like I was very good at it. It wasn’t until I went through a relationship break-up (which overwhelmed me emotionally), that I began running regularly. I needed it as an escape, a distraction, time for me to mentally process. All of a sudden, I was actually really enjoying it, going further and I was happy again. Since then I have run 2 half marathons, gone through up’s and downs of running lots, and then not at all; being injured, returning to running and battling with the internal dialog of “you used to run so much faster and further!”, following strict training plans to running just for the pure love of it. 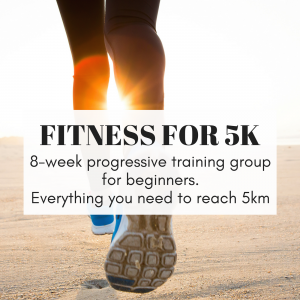 Running is certainly not everyone’s cup of tea, however I love helping people get started on (or reigniting) their love affair with it.